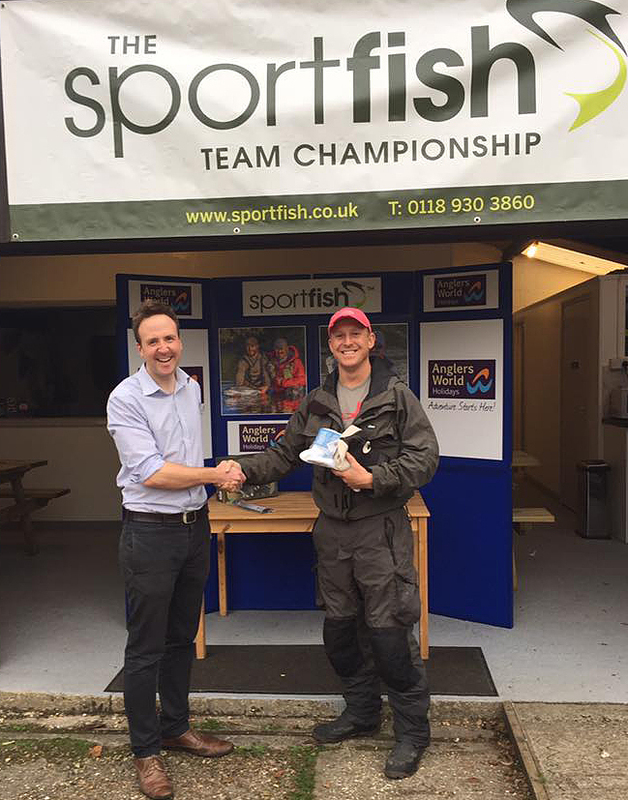 Congratulations go to Rob Allan for winning the Haywards Farm heat of John Horsey’s Fly Fishing Championship match yesterday at the Sportfish Game Fishing Centre. Rob’s 12 fish total included 10 released fish and secured the top prize of a pair of Costa sunglasses, plus other Costa goodies. 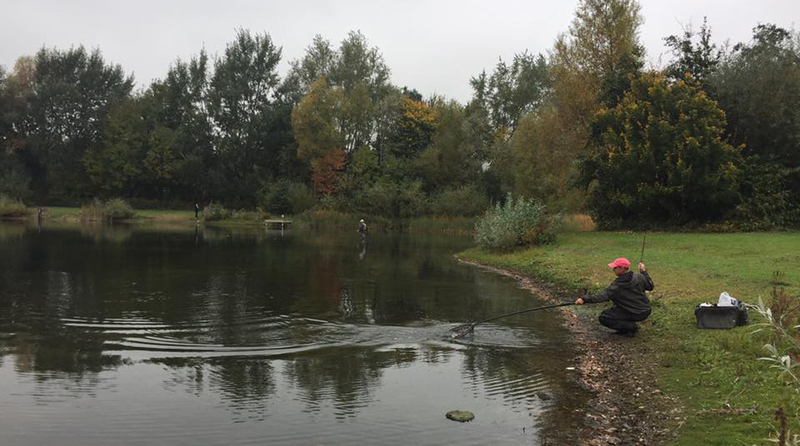 The runner up was Angus Cameron who won a Sage reel, with Craig Auchinachie 3rd, Mark Weaver 4th and Simon Bedwell won the best fish prize for a 5lb 7oz rainbow. Rob Allan netting fish number 12, on his way to winning the Haywards Farm heat.